The coast of North Carolina is characterized by stunning barrier islands and stretches of rarely crowded, remote beaches. There are busier beaches, however, near the Outer Banks and Wilmington. The lighthouses found along the North Carolina coast are some of the country’s most romantic and beautiful. Each beach has its own array of attractions and unique vibe. 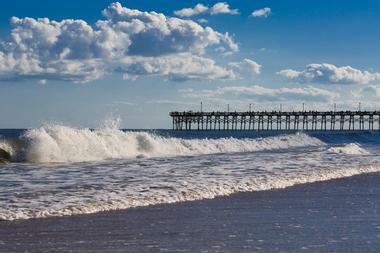 All of these beaches are within a few hours from the city of Charlotte, North Carolina. 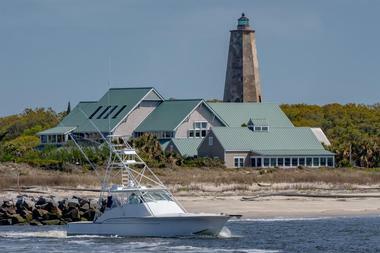 Bald Head Island is just a 20-minute ferry ride from the mainland and feels almost like its worlds away from everyday life. Visitors even leave their car, hopefully along with their stress, behind. The journey from the small town of Southport in North Carolina across the Cape Fear River to the the island is around two miles. Before making the short trip, visitors can stop at the Old Baldy site, the oldest standing lighthouse in the state, dating back to 1817. Bald Head Island boasts approximately ten thousand acres of untouched maritime forest preserves, marshes, and beaches. Carolina Beach features a laid-back atmosphere and is thought by many people to be one of the most down-to-earth beaches along the country’s Atlantic Coast, making it an ideal beach for people looking for a laid-back good time. Carolina Beach also plays host to numerous special events throughout the year, such as the Carolina Beach Music Festival, as well as everyday live music performances. The highlight of the beach, however, is its fun and vintage boardwalk, featuring several shops and eateries and nationally recognized as a place for old-fashioned fun by the ocean, but with a fresh and modern twist. Carova can be considered as the last frontier of the Outer Banks of North Carolina. The area is well known for its miles and miles of privacy that include white clean sandy beaches, beach houses scattered throughout, and most famous of all, the wild mustangs. 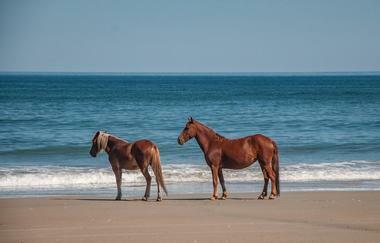 These horses roam freely along the ocean and the small residential neighborhoods of Carova. Carova Beach is a place where people go for some peace and relaxation, lounging under umbrellas and catching up with family and friends. 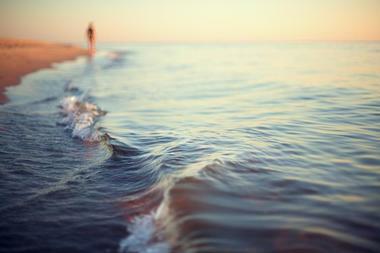 The waters remain consistently warm during the summer season and into the beginning of the fall months. Corolla is a popular vacation destination in the Outer Banks, and like many other destinations in the area, its beach is the town’s main attraction. Corolla boasts long stretches of unspoiled beach without any commercial boardwalks, 4WD traffic, or business development, making the beach a perfect place for families who just want a large area of sand on which to play. Since the area is still a somewhat smaller destination for vacations, visitors should have too difficult of a time find a nice spot to put down a beach towel and enjoy the sun and sand. Emerald Isle is one of the most stunning beaches on the Atlantic Coast of America, offering visitors a laid-back and tranquil atmosphere among the sandy white shores and blue waters. The beach and surrounding area was originally designed during the 1920’s to provide a large summer attraction for tourists. The idea was to build a large ocean resort, but those plans never came to be. The public beach accesses and park on Emerald Isle offers a variety of amenities, such as picnic pavilions, playgrounds, volleyball courts, and launches for kayaks. As a popular beach, Emerald Isle can get crowded at times. Kure Beach is a small North Carolina town beach with an atmosphere that lets visitors get away from the hectic everyday city vibe. 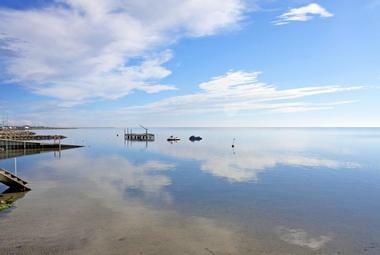 One of the main highlight of the beach is the oldest fishing pier anywhere along the country’s East Coast. The oceanfront park, seaside surroundings, the state aquarium, and the historic Fort Fisher site all make Kure Beach an underrated beach near Charlotte in North Carolina. As a family-friendly beach, it’s a great place for families looking for a natural playground for their children. There’s an actual playground with seaside swings at the Oceanfront Park as well. 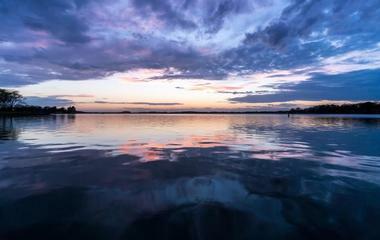 The Lake Norman State Park is home to the state of North Carolina’s largest man-made lake, boasting a popular trail network for mountain biking, including just over thirty miles of single-track trails. The bathhouse complex and the swim beach measuring 125 yards in length are located nearby, along with fishing opportunities along the park trails and a boat ramp. The state park also includes a campground with a group camping site and thirty-two individual camping sites. This campground is only open during the warmer months and includes a community building with a fireplace, restrooms, kitchen facilities that can be rented out. Masonboro Island is located near the city of Wilmington, North Carolina and can only be reached via the public ferry or private boat. Both public and private boat launches can be found around Wrightsville Beach and Carolina Beach, along with additional boat ramps at the New Hanover County Trails End Park. Trails on the island offer access for visitors to reach the beach from the boat landing areas. Primitive camping with tents is allowed on Masonboro Island with the advisement for visitors to use areas that have already been camped in. Ferries generally land at the north or south sounds. Myrtle Beach is one of the most popular beaches in the United States and boast numerous attractions, hotels, and great restaurants. The city is one of the top vacation destinations along the Atlantic Coast, and especially in South Carolina. Even though it’s in a different state, it’s still a great choice for a beach for people in Charlotte. Visitors will find several restaurants, shops, and arcades along the beachfront boardwalk at the Grand Strand, as well as one of the tallest ferris wheels in America, the SkyWheel. 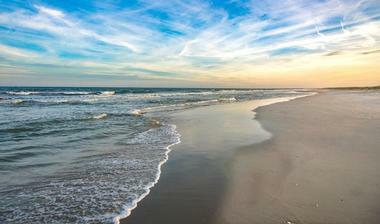 The Grand Strand is a series of beaches that stretches for sixty miles. 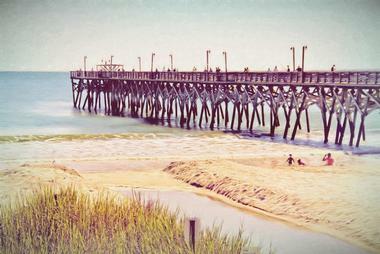 Nags Head has mostly consisted of a handful of small hotels and family cottages since its beginnings during the 1800’s. Visitors today can still see a number of historic cottages, the majority of which can be found in the Jockey’s Ridge State Park, the most significant landmark in town. The park is the tallest system of sand dunes in the eastern region of the country, providing unmatched views of the area. 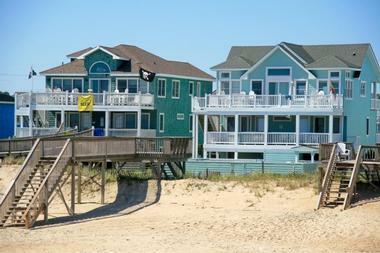 The oceanfront of Nags Head includes plenty of parking and public beach access. A small town vibe and family-operated businesses prevail today, creating a certain relaxed, slow pace and charm. North Myrtle Beach offers big-time attractions and small town charm just to the north of Myrtle Beach proper. Some of the area’s most notable attractions are the historic O.D. Pavilion Amusement Park, Alligator Adventure, Barefoot Landing with the House of Blues and the Alabama Theatre, and of course, the beaches. 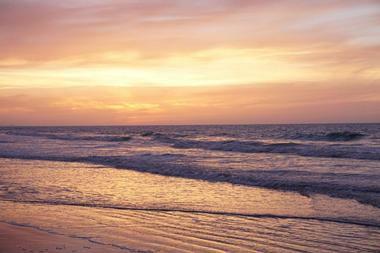 The natural beauty of North Myrtle Beach is some of the best of the coast of the Carolinas. The area also boasts championship golf, entertainment, great shopping, fine dining, and some of the best boating and fishing along the Atlantic Coast. There are a wide range of hotels as well. The Rodanthe area was divided into three distinct villages during the early 1900’s: Clark, South Rodanthe, and North Rodanthe. The northernmost village today still keeps the name of Rodanthe an is home to the Chicamacomico Lifesaving Station, the North Carolina coast’s first station of its kind. The beaches of Rodanthe and the surrounding tri-village area are some of the most secluded around, while visitors and locals alike head to Pamlico Sound for watersport. With its breezy conditions, the sound offers some of the best conditions for windsurfing and kiteboarding. Rodanthe offers things to do both history lovers and children as well. Surfside Beach is a quiet and quaint beach in South Carolina that offers an array of family-friendly fun. 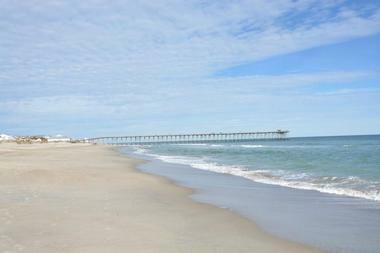 The beach is located in an area called “the south strand,” just a little ways to the south from Myrtle Beach. There are a number of down-to-earth beach communities and beach houses in the area, as well as family attractions like the Wild Water and Wheels. The town is a small community boasting a two-mile oceanfront. Surfside Beach is also home to a number of souvenir shops, seafood restaurants, watersports, golf, fishing, and more. Visitors can also find nightlife at the beach. Topsail Beach is located at the southern point of Topsail Island in North Carolina and is the smallest of the 26-mile long island’s three communities. The island is about forty-five minutes away by car from Wilmington, North Carolina, around halfway between Jacksonville and Wilmington, and a few hours from the city of Charlotte. The beach at Topsail provides a wide variety of seaside fun, including swimming, surfing, sunbathing, fishing, and several other outdoor activities. Visitors may even get the lucky chance to see the occasional sea turtles, dolphins swimming out in the ocean, and many different kinds of birds. 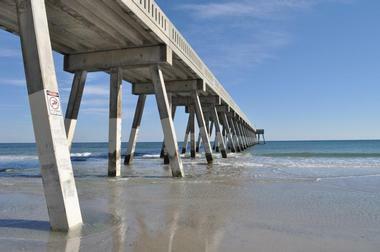 Wrightsville Beach, which is situated adjacent to Wilmington, North Carolina is considered by many to be one of the world’s best towns for surfing. The town itself provides numerous opportunities for water sports, as well as features an active and social culture with a bit of a down-to-earth vibe. 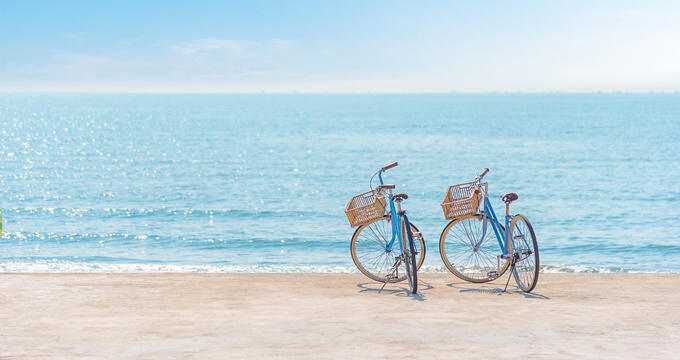 The many possible activities visitors can take part in at Wrightsville Beach include swimming, surfing, paddle boarding, kayaking, and sunbathing. 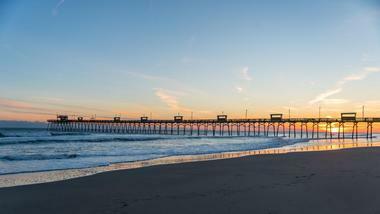 The beach is one of the state of North Carolina’s most accessible beaches and several boutique shops, surf shops, and restaurants can be found in the easily walkable town.